Netflix, the leader in paid streaming video, has had a pretty good 2015 so far. In a first quarter report released by the company today, Netflix reported that in just the three and a half months since the clock struck midnight on January 1, it has grown its audience by 4.9 million new members and raked in a cool $97 million (about £65.4m, AU$125m) thanks to shows like House of Cards. 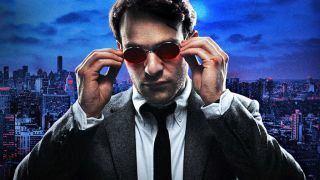 If that wasn't enough, the company expects to add 2.5 million more members by the end of the summer, and a new hit show in Daredevil should help it reach that goal. Yes, life seems good for Netflix. So good in fact that even the new kids on the block, Sling TV and HBO Now, the standalone streaming service from HBO, don't phase the entertainment titan. "In the US, HBO began offering its $15 per month 'HBO Now' service last week," Netflix's CEO and CFO said in the brief. "As we have said in the past, Netflix and HBO are not substitutes for one another given differing content. We think both will continue to be successful in the marketplace, as illustrated by the fact that HBO has continued to grow globally and domestically as we have rapidly grown over the past five years." To me, that seems like flowery language for: We expect them to grow, but not take a piece of our pie. But what about the rest of the streaming services, like Sony's PlayStation Vue, Sling TV or even a new service TV from Apple? "We view [internet TV streaming] offerings like the rumored Apple offering, Sony's Playstation Vue and Dish's Sling TV as more competitive to the current pay TV bundle than to Netflix which is lower cost, has exclusive and original content, and is not focused on live television," the execs wrote. Again, it sounds like Netflix thinks its competition is good, but not necessarily something to worry about. Admittedly, Netflix has a lot going for it. Between new, original content, a smart price point and almost universal accessibility on tablets, phones, consoles and computers, Netflix is in the best spot it's ever been. That said, in an industry where new products rise to prominence practically overnight, it seems slightly foolish that Netflix isn't positioning itself more aggressively against the likes of HBO, Sony and Dish, not to mention the elephant in the room, Amazon Instant Video. The latter had its own record year in 2014, and won a Golden Globe for Transparent. With more and more users flocking to the e-commerce giant, maybe Netflix should be worried, if not outwardly afraid, of the growing threat knocking on its door. Looking for an alternative to Netflix? Check out our list of the best streaming services!